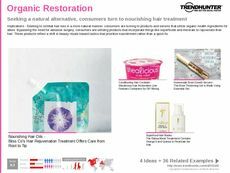 Find Better Ideas, Faster ® with a custom natural beauty trend report, our PRO Dashboard and 80+ categories of premium trend reports. 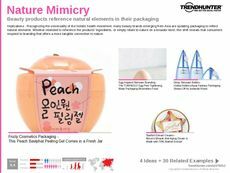 Within the beauty industry there is a high desirability for all-natural and organic products, which will be fully explored throughout the Natural Beauty Trend Report. 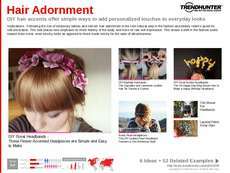 Using Trend Hunter's crowdsourced research, this report will shed light on the latest products that can be homemade or purchased in retail stores. We will also take an in-depth look at the industry's leading brands and those that produce cruelty-free and natural supplements. Additionally, we will look at health products that improve the well-being of consumers and enhance beauty from the inside out. Beauty product producers can use this report to gain valuable consumer insights when investigating the demand for natural and organic cosmetics. It can also aid spas and resorts that offer natural treatments for consumers. Retail stores that offer consumer beauty goods can also use this report to ensure they are giving priority to the top needs of a consumer. 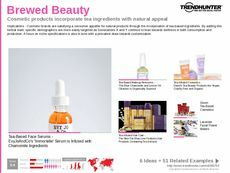 When creating or launching new skincare and beauty products, the Natural Beauty Trend Report will ensure that you are equipped with the knowledge required to meet your consumer's demands while being ethically responsible.